I maj måned 2012 blev min Doctor of Ministry afhandling “Sing unto the Lord” antaget på Wesley Theological Seminary i Washington DC. Et Doctor of Ministry studie på Wesley Theological Seminary er nomeret til 3,5 års studier med mulighed for forlængelse op til seks år. Før man før man slippes fri til at forfølge sine spørgsmål og undersøgelser, der danner baggrund for afhandlingen, skal man undervises og eksamineres 10 fag med minimum B som karakter. Selve afhandlingen har fokus på hvordan gospelmusikken kan revitalisere en gammel metodistkirke og give den nyt liv. Afhandlingen udgivet på TREN og kan købes her. 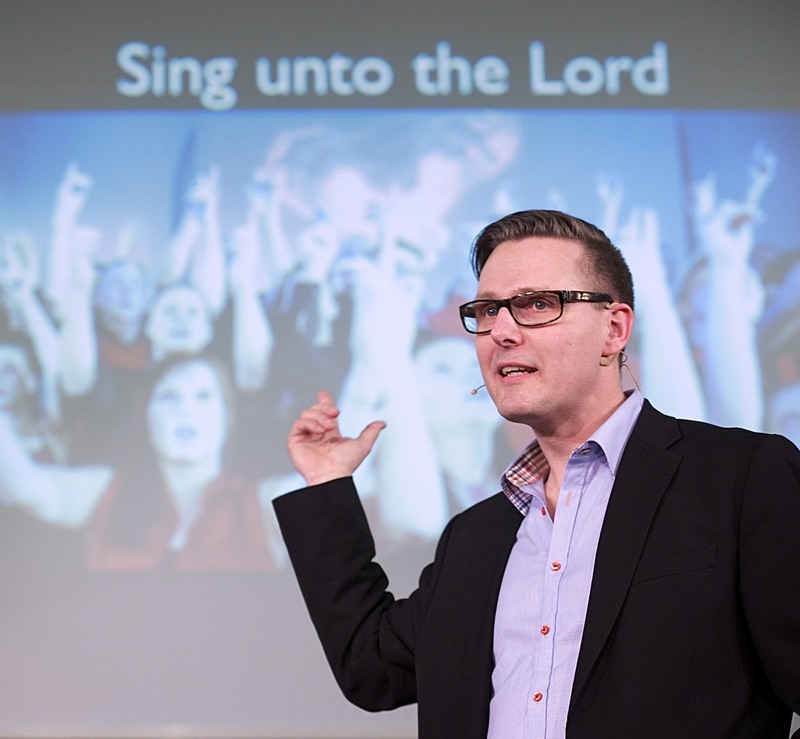 How will the introduction of Gospel Choirs revitalize the United Methodist Church of Odense and provide a model for church renewal? Through the story of The UMC-Odense, where gospel music has been a catalyst for change, the author explores the basis for growth through interviews with singers, the choir leader, a study of the early Methodist movement’s use of contrafactum music and through a study of the characteristics of the first congregation as described in Acts 2. Finally, the author draws 8 claims that have proven fruitful in the inclusion of gospel music ministry in an old United Methodist church.